Located in the west of Essex on the county’s border with Hertfordshire, Harlow lies within the London commuter belt. With such close proximity and excellent transport links to the capital, plus a wide range of reasonably priced housing, Harlow is a superb town for first-time buyers to look at. At My Home Move Conveyancing we can help you take advantage of local markets – we have been increasing our expertise of local areas since 2002, allowing us to deliver a specialist, fixed fee conveyancing service to our clients in Harlow. You must instruct a lawyer to carry out the legal work on your behalf when buying or selling property in Harlow. 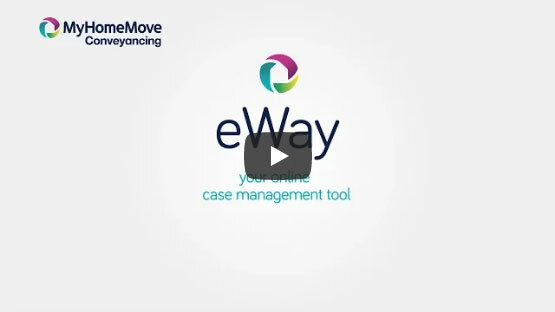 In choosing My Home Move Conveyancing you’ll reap the benefits of our award winning customer service, innovative use of technology and intimate knowledge of the local market. We offer a conveyancing service that is fixed fee, meaning there are no extra hidden costs to worry about with us as your Harlow conveyancers. If you don’t end up moving for some reason, you won’t have to pay us a penny in legal costs. We assign each of our clients a dedicated conveyancer who will look after your case from start to finish, providing you with a consistent point of contact and regular updates on your progress. At My Home Move Conveyancing we are proud to supply our conveyancing services in Harlow to customers across the local area, from the town centre to places in the surrounding vicinity such as Great Parndon, Tye Green and Brays Grove. The average house price in Essex is £232,825, while during the past year in Harlow, the overall average sale price was £253,217. Terraced properties were by far the most popular in this period, selling for an average price of £233,382. Flats went for £148,525, while detached properties fetched £436,244 and semis £313,785. Characterful Harlow has a long history but was expanded after the Second World War as part of the process of establishing new towns to ease the burden on overcrowded London. It has undergone plenty of redevelopment since that time, with new neighbourhoods such as the Church Langley estate and Newhall, and the civic centre and improved Water Gardens in the south of the town centre. Harlow’s proximity to London remains one of the town’s major pulls, and the transport links available are of a high standard. There are plenty of direct rail services to the capital’s Liverpool Street station, which take a shade over half an hour. The M11 motorway passes to the east of Harlow, heading south to London and north to Cambridge. Harlow also boasts an excellent location close to Stansted Airport, which is less than 15 miles away and can be reached in around 20 minutes by road or rail. There is a good selection of schools in the area for parents with younger families to consider, with primary options including the Henry Moore Primary School on Kiln Lane, William Martin CofE, and St Alban’s Catholic Primary on First Avenue. Choices at secondary level include Passmores Academy, St Mark’s West Essex Catholic School and Burnt Mill Academy. Old Harlow also plays host to an international campus of Memorial University of Newfoundland. All properties in Harlow will fall within one of the following council tax bands.